This World War 1 pilot managed to survive the crash but unfortunately he landed on a zombie infested island where he quickly became on of them. 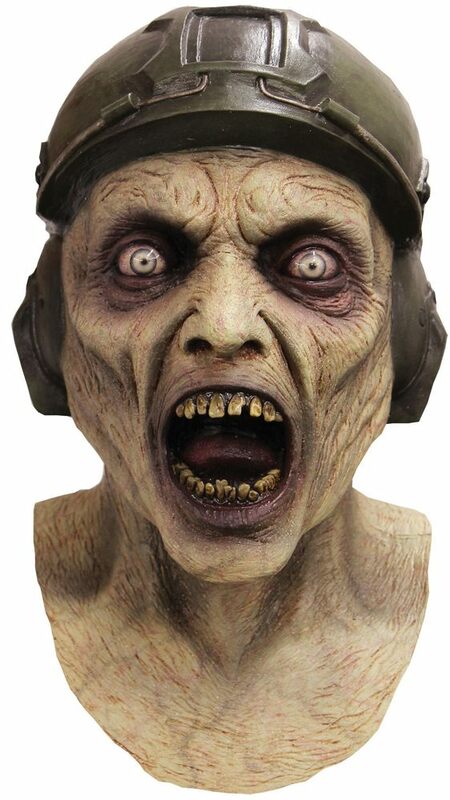 This full over latex mask is really creepy with an old style aviation cap, open mouth and wide staring eyes. He is ready to eat do you know where his next meal is?